For various and sundry reasons, many find commercially grown fruit to be unsatisfactory. Objections to pesticides, to genetically-modified seed and to lack of flavor are common. It is little wonder, then, that people with the time and space opt to grow their own fruit trees. Not only do they enjoy the fruits (literally) of their labor, but also take pleasure in the work of husbandry itself. Fruit trees do not yield good produce on automatic, by no means. Wise and careful tending accompany the growth of a healthy end-product. It is crucial, therefore, to know how to prune fruit trees. Left to their own devices, fruit trees are self-defeating. They grow too many shoots; large upper branches block sunlight to lower ones; and some branches form thickets, clogging growth space. Moreover, some trees just grow too tall, making harvesting that much harder. Since the size and shape of trees influence their production, pruning is mandatory. However, arborists must cut back with wisdom and discernment. The first step in exercising prudence is to know when to prune. Scientists and experienced growers generally advise waiting until late winter or early spring—sometime in March, for example. By this time, the trees are bare of leaves and easier to evaluate. To do it in late fall might diminish the vigor necessary for winter temperatures. Arborists knowledgeable about how to prune fruit trees know that branches compete for space, making fruit-bearing a dicey proposition. In fact, branches that rub together not only inhibit fertility, but also create hosting conditions for diseases. These crossover branches are defective and should be cut back before all others. Depending on the size, these limbs are removable with hand pruners, long-handled loppers or a hand saw. The placement of cuts is key to tree health. Pruners do best to cut as close to the node, i.e. the point of growth, as possible, so that no extension remains. This caveat addresses the real possibility of rot setting in where any remainder exists. Speaking of rot, identifying dead and decayed segments is a major tenet in how to prune fruit trees. Whatever is adjacent to death and disease will soon be dead and diseased. Dead wood is relatively easy to spot by simply scratching beneath the bark with a pruning blade. If the wood is brown, it is dead; if green, it lives. Recognizing diseased limbs takes some education. Brown rot fungus—no surprise—lives up to its name: hollowed, brown areas will emerge on twigs, which eventually shrivel. This most often afflicts cherry, peach and plum trees. Fire blight, by contrast, is more common among apple and pear trees. The branches of young trees exhibit its presence with the appearance of cankers that emit a tan-hued muck. These cankers are small so careful inspection is advisable. Occasionally, a branch will sprout from the trunk at a near 90˚ from horizontal angle. Even those vertical branches growing from other branches are worthy of pruning. This is because such “watersprouts” are notorious light hogs, depriving lower limbs of needed sunshine. Understanding angular position helps arborists answer the question of how to prune fruit trees. Maintaining a balance between tree growth and productivity requires that horizontal branches dominate. Thus, any branch growing less than 40˚ from vertical should be cut back. This holds true for those growing upward, and for those growing downward. As the upward limbs are thicker, a pruning saw works best. For those weaker shoots that grow toward the ground, two-handled loppers are adequate. Branches with too many neighbors will cease to be fruitful. When learning how to prune fruit trees, growers should accept this reality. Therefore, removing a sufficient number of branches is as important as which ones get pruned. When clipping a tree, the pruner should focus in on certain types of branch. For instance, some of the lower, internal branches are destined never too receive enough sunlight. These should go. Sometimes branches will sprout from the base of the trunk, or even the roots. Known as suckers, these branches might be different trees altogether. Away with them. They do not help. Nor do whorls, i.e. branches that encircle other limbs. These, too, should go. When all is said and done, cut back one-third of the branches annually. How to prune fruit trees is an inquiry dating back to ancient times. 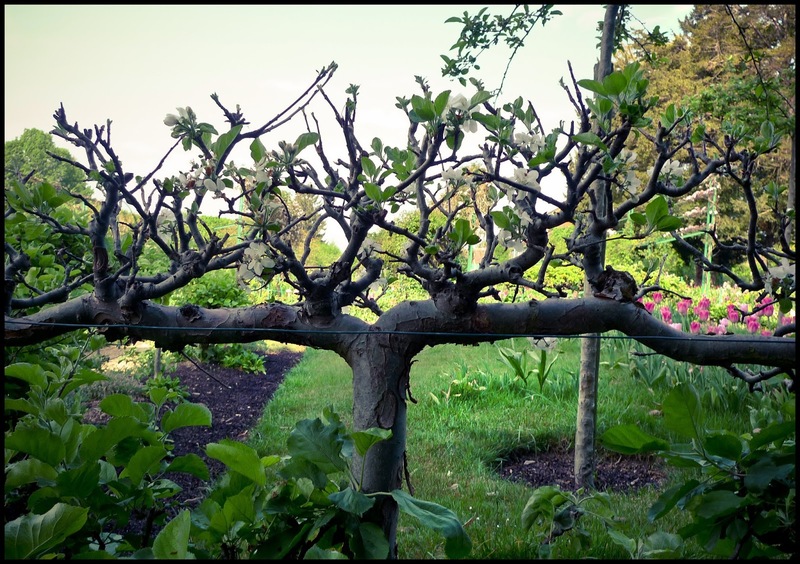 The art of espalier—as it is known in French—is all about attaining a desired shape. Why? Over the centuries, arborists developed numerous shapes that optimize vegetative growth and fruit-bearing. The cordon, to name one, is about six feet tall and six feet wide, sporting noticeable horizontal tiers. A more elaborate shape, the candelabra, is larger and famous for generous spacing between branches. 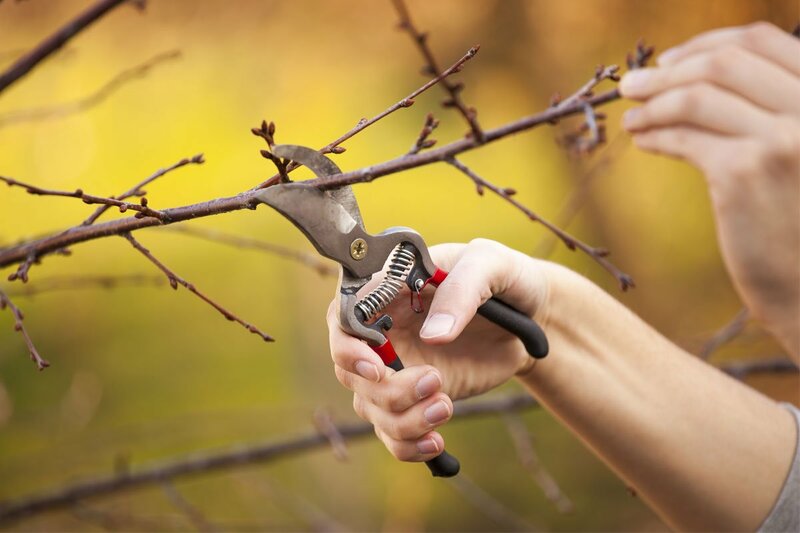 As pruners tend to their trees, they benefit from working toward a successful shape. When discovering how to prune fruit trees, an aspiring arborist may forget that pruning is a kind of surgery. Trees, of course, are living entities; when you cut them, you wound them. Never use tar to cover the open wound. While trees have remarkable powers of healing, the pruner does well not to aggravate the open wounds. Cleaning and sterilizing shears, saws and other instruments is essential if the grower wants to prevent the transmission of rot and disease. Useful in this task are common household cleaning agents, sanitizing wipes, steam treatments and isopropyl alcohol. Many backyard enthusiasts are partial to using solutions made with pine-sol or bleach. A fruit tree should enjoy healthy growth…and grow healthy fruit. To do so requires the aid and care of a dedicated pruner. Cutting back branches is helpful for the yield, and also fosters strong and steady growth of the wood. An established shape works best. Hey Buddy!, I found this information for you: "How to Prune Fruit Trees Correctly: 7 Steps to Success". Here is the website link: https://backtofarm.com/how-to-prune-fruit-trees-correctly/. Thank you.